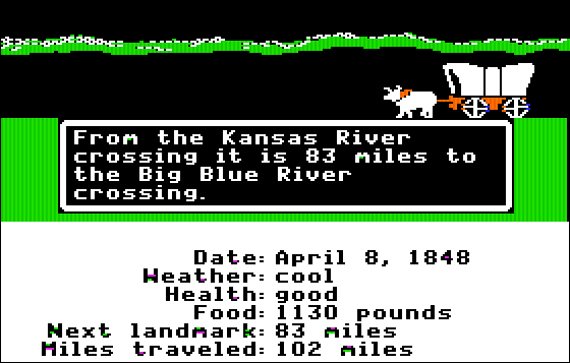 The Oregon Trail, a wagon route that brought settlers to the Wild West in the early-to-mid 19th century, crossed what are now the states of Missouri, Kansas, Nebraska, Wyoming, Idaho and, of course, Oregon. It may be one of the most historically important developments in our countries history, plotting the eventual course for a transcontinental railroad and interstate commerce. Many a “weekend roady” passed this early “road” and their fate upon taking on this arduous journey often wasn’t so sure. Dysentery, typhoid, cholera ran rampant on the trail and even the oxen pulling the wagon were prone to fall to disease, leaving settlers stranded in place and risking a harsh winter. Yes, I’m talking about THE Oregon Trail, the popular computer game that more than a few grade schoolers grew up with in the late 70s, throughout the 80s and into the early 90s. If your anywhere between 20-40 you probably played this game in your first-grade classroom, most likely in all it’s green-screen Apple II glory. It may go down as the greatest floppy disc ever. 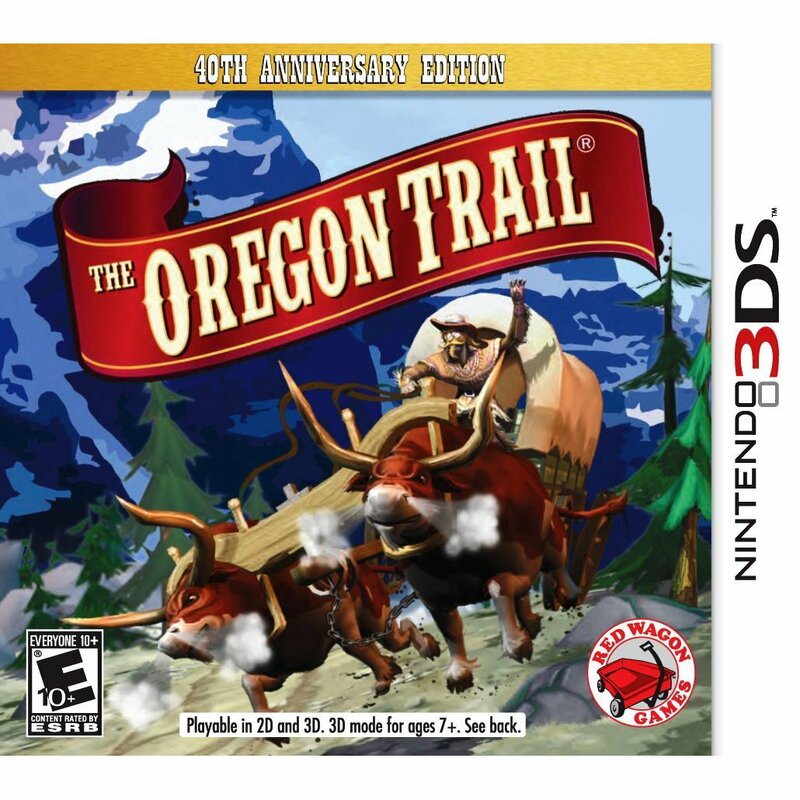 I was reminded of the game with the release of the 40th Anniversary Edition for the Nintendo Wii and 3DS this past week. Being an avid portable gamer (what else to whittle away time during my lunch break, bus ride, et al) who is currently addicted to his 3DS, I decided to splurge on a copy of the latest iteration from SVG and Red Wagon Games. Yes, it probably is nowhere near as cool as the original – but it’s worth it for the nostalgia fix. As for the original – I rarely made it to the end in one piece (in fact, I’m not sure if anyone could without at least one death in the family). I’d count hunting bear for thousands of pounds of meat among one of my earliest gaming “highs” and traversing the rapids as one of the all-time great slam-the-controller (in this case, keyboard) frustrations. All in all, though, it’s a tribute to the first who bravely took to the open road, and, in turn, inspired a new generation to do the same. Wow, that brought back some vivid memories I’d completely forgotten about over the last few decades.